From the minute they enter our office, children are treated specially. Our office features a Kids Only toy area too small for adults. This space intrigues and entertains our littlest patients starting at 3 years old. Dona and Joann, our warm and caring hygienists, are great with kids. They should be, each has four of their own! They make the experience fun and interesting for kids of all ages. 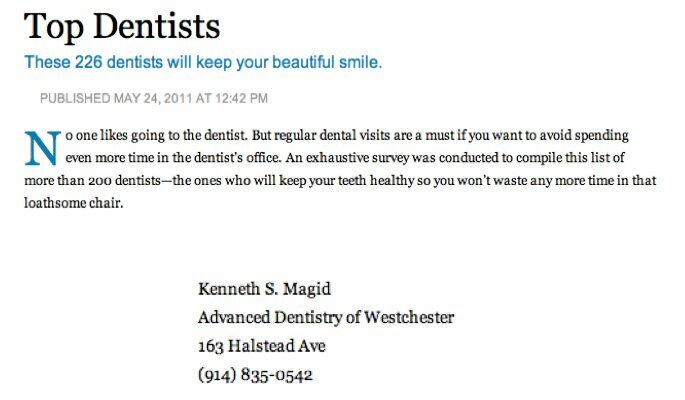 Dentistry at the Advanced Dentistry of Westchester office is different than the typical dental experience. Areas of decay are diagnosed very early using a tiny laser (focused beam of light). If treatment is necessary it is accomplished with minimally invasive techniques using a laser or microabrasion. If you would like your children to grow up wanting to go to the dentist, with no fear or negative associations, then the office of Advanced Dentistry of Westchester is the place to go. In the 21st century, with our over-scheduled lives and often with every adult working outside the home, our office has changed the dental experience to fit today’s reality. There’s probably nothing worse than having a dental treatment done and having to spend half the day with a numb face. In our office many dental procedures can be accomplished pain and drill-free with a laser which does not require anesthesia. When anesthesia is needed, we offer OraVerse which reverses the anesthetic, cutting the time you remain numb in half. If a crown or inlay is the necessary treatment our CAD-CAM system can capture, design and create the restoration in a single visit. We understand your time is valuable, so we honor your appointment by running ON SCHEDULE, and we back up that statement. In the very unlikely event you are kept waiting more than 15 minutes, we will give you a Barnes and Noble gift card as our way of apologizing. We have appointments that can start as early as 7:30 am and go as late as 8:30 pm. We also have office hours on Saturday. See a full list of our office hours and contact us to schedule your appointment today. The relationship between the mouth and overall health is well established, your oral health can affect your heart, lungs, and other body systems and many of the medications you take have a dramatic affect on your oral health. That is why it is imperative that your family members don’t miss their dental cleaning and gum disease prevention appointments. Dr. Magid-Katz is a founding member of the American Academy of Oral Systemic Health with special understanding of this relationship and the important role of dentistry in the screening and treatment of snoring and obstructive sleep apnea.